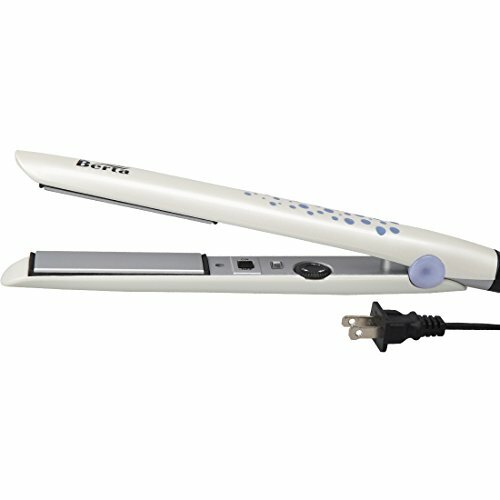 Instant heat up and recovery, allows you to begin straightening hair after 30s. PTC technology inside the plates instantly and uniformly reaches higher temperatures across the whole surface. To reduce the operation times, to achieve the best effect of modeling. 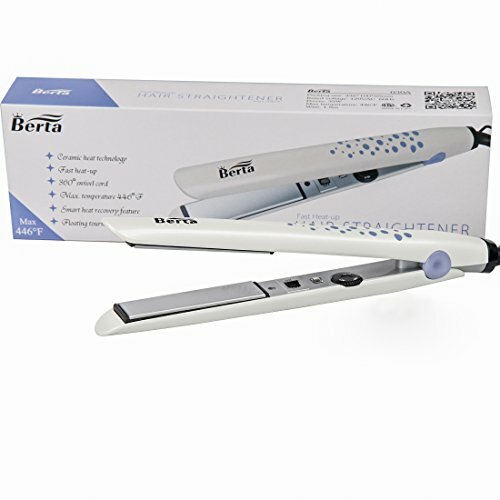 2> The 1 inch ceramic 3D floating plate and unique curved edge plate system for styling versatility: straight, curly, wavy, or flips. make the hair feel the heat better, the hair cuticle were protected better and create smooth, shiny and silky result, helped reduce fly away and frizz. 3> Auto shut off after 60min. Auto shut off after 60min when you hurry off and forget to switch off, then you could have a breath. 4> Adjustable temperature setting: (284-446?). 5> LED display--The distinct LED display can show you the heating up temperature visibly. 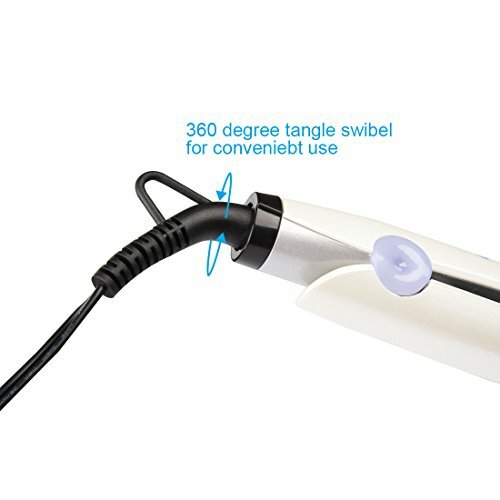 6> With ultra-long salon cord and 360 degree rotating tail line, resolves the wire winding problem, so easy to use and safe operation. 7> 1 year replacement and 2 years warranty . 284 to 446? 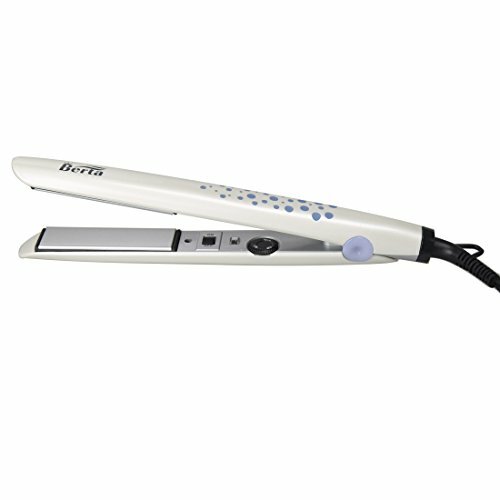 salon high heat with digital temperature control and with fast heating function. With auto shut off after 60 minutes, safe and easy to use. The tourmaline technology, ceramic coated plates, tourmaline Ceramic Technology enables plate to produces a potent mass of negative ions. 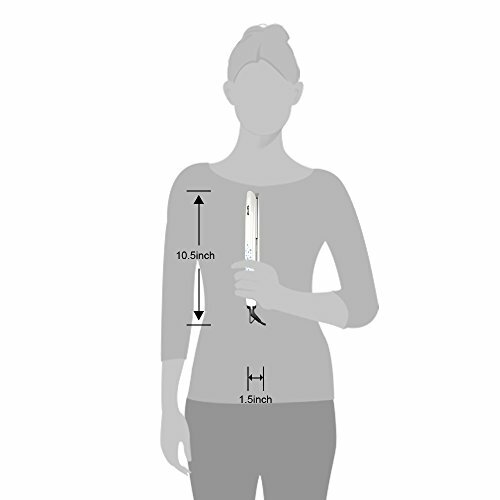 The 3D floating plate, it flexible follow the force direction, the hair and the plate could combine friendly, make the hair feel the heat better. 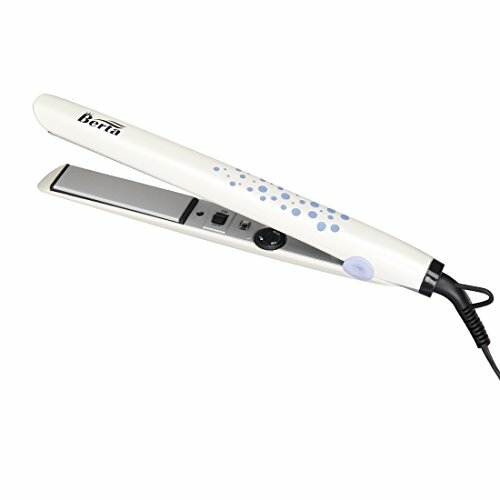 Berta professional hair straightener, One-year replacement, two-year warranty.